UK railway maps used to be the prerogative of train spotters and train enthusiasts, but no more. They are now available to everyone. 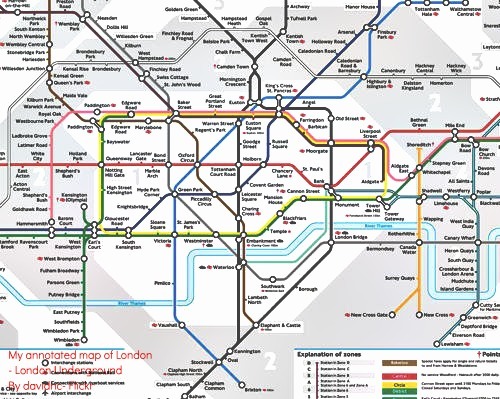 The maps of the UK rail network including that of the prestigious London Underground are been sought after for travel planning, historical insight, engineering design and more. Are you looking for one of such maps? Maps of the UK railway routes date back to over a hundred years ago when the railway system was first designed. 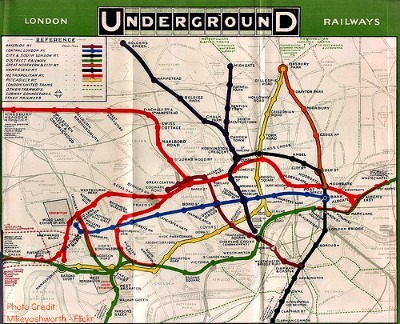 One of such old railway maps is that of the London Underground shown below. We bring you a selection of old and new maps of various aspects of the UK railways, starting withthat of the London Underground Maps of the 1900's. This is a Map of the London Underground dating back to the 1908, when it was then owned by various groups of small train companies. This railway map has taken a new shap with more lines coming onboard ever since, as can be seen on the next map below. You can download a free copy of the London Underground Tub Map here from the Transport For London Website. You can get a comprehensive map of the whole of the UK railways diplaying principal, regional and local routes, as well as information on which railway company runs that section of the line. This will be especially good for travel planning, as well as being an invaluable information to understand the intricate railway system that has in no small measure contributed to the industralization and growth of the United Kingdom. Download the national rail network diagram. Click Here! 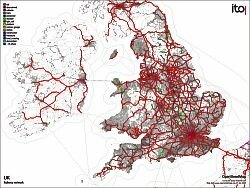 Maps of the whole UK railway network are useful because they can help you to plan your journey, especially if you want to stop off somewhere en route, or if you just want to avoid a particularly busy route. So if you want to travel from Birmingham to London, but you want to stop off at Banbury, then a quick look at the network map will let you see that this is possible, since there is a route to London that stops off at Banbury, so you can easily make this journey. Don't we all need UK Railway Maps then, unless you are a travel guru well tuned to the Uk rail system. UK Railway maps can also help you to plan a journey that is actually part of a holiday. So instead of going directly from Aberdeen to London, you can stop off at Stonehaven, Dundee, take a trip to St Andrews, come back to the rail network and go on to Perth, then Stirling, Edinburgh and then you can catch a through train to London. The maps also show you the easiest way to get to places that are on different networks, since it can be difficult getting a sense of how the system works until you have seen a map setting out how lines all link into each other and how the different main routes interlink (or in some cases don't interlink). The maps often don't show the very small, locally run services that may operate, but they provide a good overview of how to plan your journey so that you can get quickly from A to B, or if you only want to take trips with scenic stops, then you can do this as well. The rail system in the UK is certainly very extensive, so sometimes it is necessary to look at the 'bigger picture'. This is where a railway map showing the whole of the UK rail system is a great tool for planning your journey. If you are very keen on getting a comprehensive uk railways map for your journey, why not download travel map from Maps.com to help you get around! ? 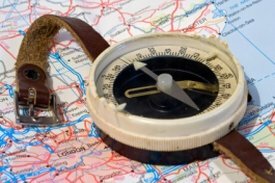 Maps.com is a premier online source of maps, atlases, globes and other mapping products and solutions and you may be amazed to see the great value a travel map may bring to your journey.